'Vallée moves his film further and further from being a story of survival and reveals it as something considerably better: a story of redemption'. 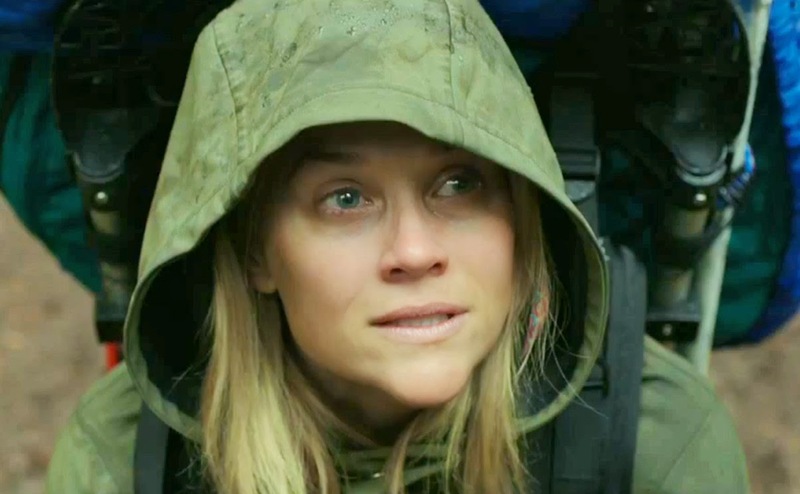 A film sure to evoke for some memories of Danny Boyle's 2007 film 127 Hours, initially at least director Jean-Marc Vallée seems happy to invite this comparison with Wild, opening his film as he does with a sequence introducing Cheryl Strayed (Reece Witherspoon) exhausted, alone in the wilderness and seeing the last of her only pair of walking boots. And yet, as Wild progresses, Vallée moves his film further and further from being a story of survival and reveals it as something considerably better: a story of redemption. It's a revelation the director is content to make us realise through pulling the rug from underneath us on more than one occasion, the first and perhaps most unexpected example coming surprisingly early in Cheryl's hike along the Pacific Crest Trail. Having allowed us to believe that our protagonist has now cut herself off from the rest of humanity, Vallée soon has her happen across farmer Frank (W. Earl Brown), the first stranger of a smattering throughout the film to offer Cheryl support on her redemptive journey. It's an unexpected and well-executed reminder that the story being told - based on the memoir of the real-life Strayed chronicling the journey she undertook in 1995 - takes place within an entirely authentic world where things sometimes go wrong and people make mistakes for no other reason than being people. Only occasionally does Vallée take a slight misstep into more spiritual territory: Cheryl's recurring and seemingly significant encounters with a mountain fox, for example, feel somewhat at odds with the realism that surrounds them. Cheryl's tale of deliverance is one that almost invites opportunities for criticism, offering as it does yet another story of a white middle-class American who can afford the luxury of "getting back to nature" to overcome problems and experience some form of epiphany. It's perhaps Vallée's greatest achievement that he manages to present such a narrative without making his film feel trite or shallow in the slightest. Quite the contrary, in fact: by focusing resolutely on Cheryl's life - both in the present as she tackles each new challenge the Trail offers her, and in the past through flashbacks that artfully relate all she has experienced leading her to this point - Vallée constructs Wild as a personal epic into which it's almost impossible not to be drawn. Whilst the director himself must take a fair amount of credit for this - as should Nick Hornby, penning a consistently strong screenplay from Strayed's book - Wild's greatest success is undoubtedly the performances from both Witherspoon in the lead and Laura Dern as Cheryl's mother Bobbi. Dern is an infectiously authentic presence, making Bobbi almost unshakeably optimistic but never in a mawkish or sugar-coated way. As excellent as Dern is, however, this is undeniably Witherspoon's film, the one everyone's been waiting for her to make for almost a decade since her Oscar-winning turn in Walk The Line. The actress puts in a career best performance, consistently making Cheryl a complex, believable, frustrating and sympathetic presence, excelling during both the film's most emotionally punishing and dryly humorous moments. It's almost certainly too early to make career renaissance comparisons between Witherspoon here, taking a significant step on her own journey of redemption that arguably began with her role two years ago in Jeff Nichols' Mud, and the path to the top recently travelled by her fellow Mud cast member Matthew McConaughey. Having said that, McConaughey's Best Actor Oscar win earlier this year came thanks to his performance in the Vallée-directed Dallas Buyers Club, so Witherspoon is certainly keeping the right company. Either way, should Witherspoon's name appear amongst next year's awards nominations for her stellar work in Wild, it will be incredibly hard to argue that it's undeserved.